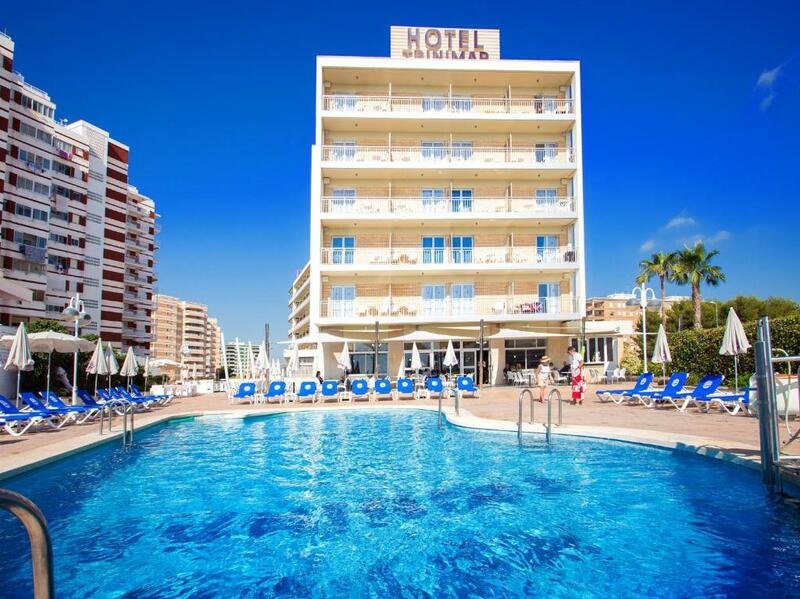 Lock in a great price for Hotel Servigroup Trinimar – rated 8.9 by recent guests! This hotel was a pleasure to stay in! 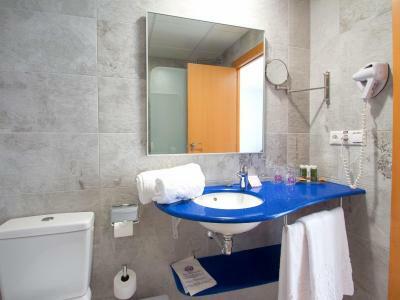 The rooms were spacious, well furnished and decorated and spotlessly clean. We dont normally book dinner so were delighted by the choice of well cooked food and that we had the facility to swap dinner for lunch. Thank you for a lovely stay. Todo en general Insuperable, habitaciones, personal,limpieza,comida etc.. 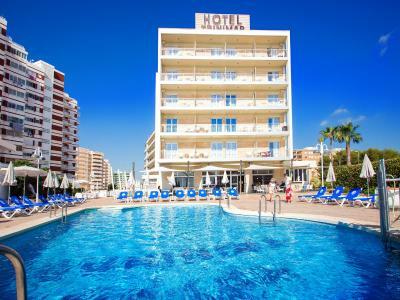 Location close to the beach and buss to Castellon. Staff very friendly. Clean rooms and tasty meals. Шаговая доступность пляжа, неплохая кухня, сейф в номере. la comida estaba muy, rica la ubicación junto a la playa fabulosa el resto todo perfecto. 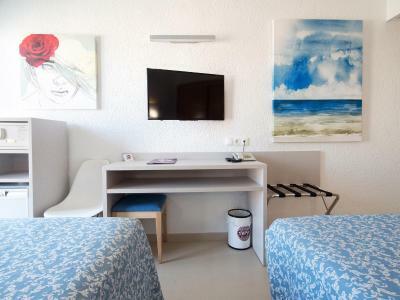 Hotel Servigroup Trinimar This rating is a reflection of how the property compares to the industry standard when it comes to price, facilities and services available. It's based on a self-evaluation by the property. Use this rating to help choose your stay! 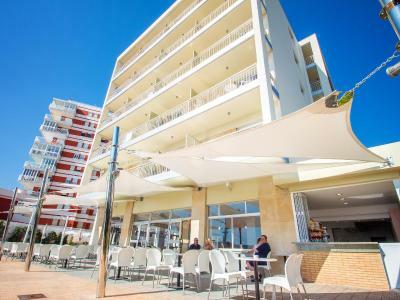 One of our top picks in Benicàssim.Hotel Servigroup Trinimar offers beachfront accommodations in Benicàssim. 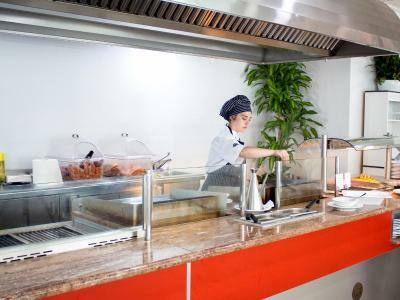 Offering a restaurant, the property also has an outdoor swimming pool. 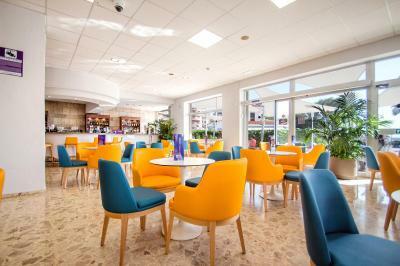 A children's playground, an in-house bar and shared lounge are available. Guest rooms in the hotel are equipped with a flat-screen TV. 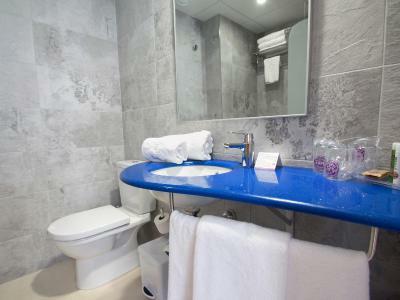 Each room is equipped with a private bathroom with a hair dryer. All units will provide guests with a safe and a fridge. 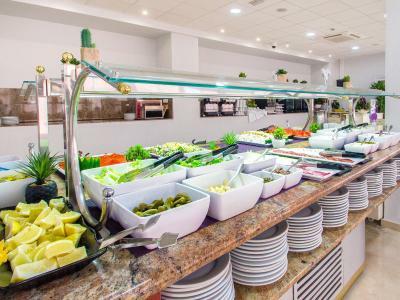 The buffet restaurant offers a choice of international dishes, show-cooking as well as themed menus during the summer months. 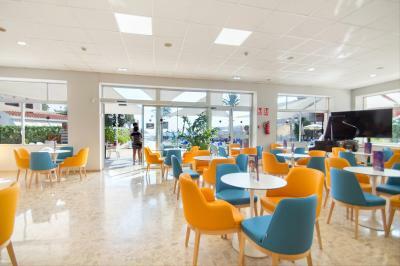 Hotel Servigroup Trinimar offers a sun terrace. Cycling is among the activities that guests can enjoy near the accommodations. Peñíscola is 30 mi from Hotel Servigroup Trinimar, while Castellón de la Plana is 5.6 mi from the property. 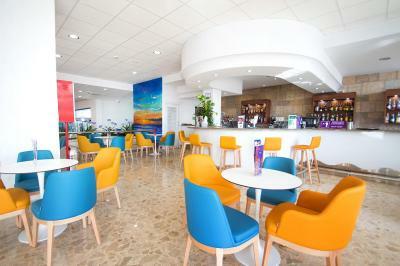 The nearest airport is Castellon Airport, 12 mi from the property. 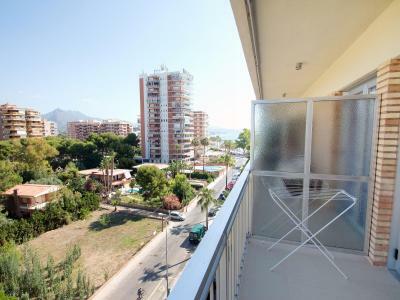 This property also has one of the top-rated locations in Benicàssim! Guests are happier about it compared to other properties in the area. 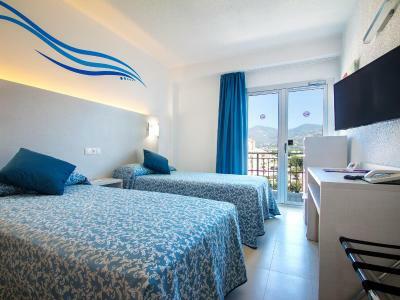 When would you like to stay at Hotel Servigroup Trinimar? This room features a balcony and seasonal air conditioning and heating. 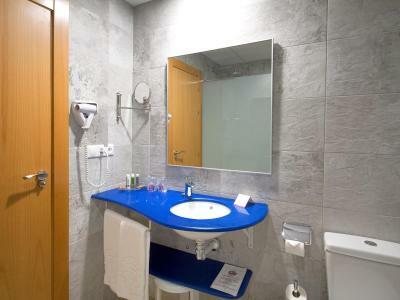 The room is equipped with complete bathroom with hair dryer, satellite TV, direct telephone line, mini fridge and free safe. 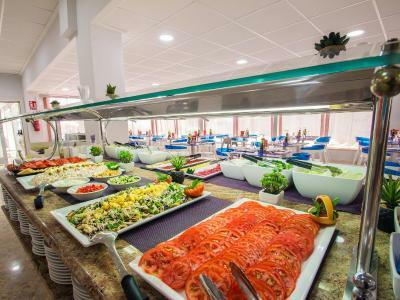 House Rules Hotel Servigroup Trinimar takes special requests – add in the next step! 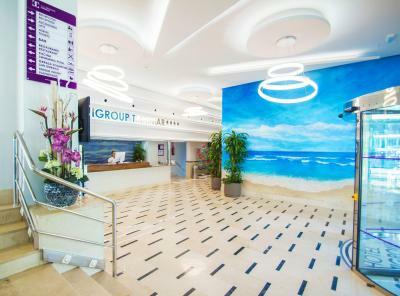 Hotel Servigroup Trinimar accepts these cards and reserves the right to temporarily hold an amount prior to arrival. Please note that drinks are not included for half board and/or full board room rates. Since the number of extra beds and cots is limited, please note that all special requests must be confirmed by Trinimar and are subject to availability. Please note that the air conditioning is available from June until September, subject to weather conditions. Nothing really only problem we had was getting taxis but there is a good bus service just minutes from the hotel.